Russian troops, well-trained and very capable, moved rapidly into Crimea and achieved the military objectives set for them by Russian President Vladimir Putin. According to a March 6, 2014, NBCNews.com report entitled, “Ukraine Crisis: Obama Urges Putin to Pursue Diplomacy,” Russian President Vladimir Putin stuck to his position on the escalating crisis in Ukraine, saying Moscow must not ignore calls for help from Russian speakers in the country. During a lengthy call with President Barack Obama on March 6, 2014, Putin said Ukraine’s government came to power as the result of an “unconstitutional coup” and was “imposing an entirely illegitimate decision onto Crimea and the eastern and southeastern regions of Ukraine. Russia cannot ignore calls for help on this matter and is responding accordingly in full compliance with international law.“ Additionally, on March 6th, the parliament of the semi-autonomous and largely pro-Moscow region of Crimea decided to break away from Ukraine and join Russia, and set the date for a referendum on the subject for March 16th. The White House earlier said that President Barack Obama had told Putin that the Russian incursion into Crimea was a violation of Ukraine’s sovereignty and that the US and its European allies had “taken several steps in response.” A March 6th BBC.com article entitled, “Ukraine Crisis: Obama Urges Putin to Pursue Diplomacy,” reported Obama told Putin there was a solution available that suited all parties, involving talks between Kiev and Moscow, international monitors in Ukraine, and Russian forces returning to their bases. This was the second telephone call between the two leaders on Ukraine in less than a week. Obama and his advisers should have understood that they would unlikely persuade Putin to respond favorably and reverse course as a result of a couple of telephone conversations. Putin would hardly look past all that has transpired in his interactions with Obama. A break occurred between the leaders over a US proposal for nuclear reductions a few short months ago, which was an uncharacteristic aspect in US-Russian relations in recent history. When Obama came to office, he had established a very positive relationship with Putin’s protégé, Russian President Dmitry Medvedev. Obama had become so confident in his relations with Russia based on his successes with Medvedev that he declared a new era between the two former Cold War adversaries. Obama made the mistake of believing his positive relationship between Obama and former Russian President Dmitry Medvedev would transfer to his relationship with Putin. Interaction between the two leaders became tense very fast. True, there have been public displays of coordination between the US and Russia on foreign policy. They include the formulation and implementation of a plan for Syrian chemical weapons removal; the Geneva II talks between the regime of Syrian President Bashar al-Assad and the Syrian opposition coalition; and, the Iran nuclear talks. However, the relationship is best marked by: Putin’s decision to allow NSA whistleblower Edward Snowden to reside in Russia; Putin’s “thought provoking” letter to the US public, published in the New York Times Op-Ed section; and ongoing espionage efforts between Russia and the US, including the activities of SVR officer Anna Chapman and other Russian “illegals” captured by the FBI in 2010, and the allegations of US spying on Russia revealed by Snowden and Wikileaks. Things really soured on August 7, 2013 when Obama cancelled a Moscow summit meeting set for September. Washington sent arms reduction proposals to Moscow seeking steep reductions in its nuclear forces, but Putin refused to consider them concerned with the efficacy of taking such an audacious step. Obama should have understood that maintaining a constructive relationship with the Russian leader is not a personal matter; it is part of the business of being president. During the Cold War, despite proxy wars and other confrontations and conflicts, of high and low gradients, along the course of the Cold War, both states, while possessing the unique and mutual capability to annihilate one another and the world with their nuclear arsenals, did not. Even during the most troubled times, relations between US and Russian leaders were maintained through a difficult process of summit meetings. Such Cold War meetings may also have been distasteful for leaders on either side to undergo. Summit talks built confidence, eliminated ambiguities about positions, and prevent and guessing over actions, intentions, and motives. Talks allowed leaders to “clear the air” regarding any personal concerns they had within their own high-level relationship. The eventual establishment of a “red-phone” or direct communication between the White House and the Kremlin contributed greatly to maintenance of global peace and security. One cannot help but imagine that relations between the US and Russia would be completely different if Obama had not cancelled the September 2013 summit and focused not on just proposals, but rather on establishing a better relationship with Putin. Obama had the opportunity to use “encouragement”, through regular telephone calls, messages, and meetings, to promote even subtle change in Russia’s approach on issues. That might even have allowed for a greater chance, well in advance of the Ukraine crisis, to find ways in which Russia, working with the US, could promote its interests. Speaking by telephone only when difficult or contentious issues arise, especially when relations are already uncongenial, is akin to a divorced couple communicating by telephone to discuss divergent opinions on important child custody issues. If there is a very negative history, or contentious break-up, despite their best efforts, the couple will bring animus to the conversation. That animus may find its way into the discussion in the form of tense talk and hostile comments. The result will not be a solution, but greater disagreement and frustration. As the West pushes back, US and European officials have flooded the media with talk of not only sanctions but also shrill responses on the use of force. However, there is no quick fix for Putin’s “Crimea grab.” Sanctions may support Western goals in this crisis, but against Russia they may be double-edged given significant investments of large US and European firms there. What is more, proposing the use of force against Russia, against Putin, may very well be akin to proposing a rush to doomsday. 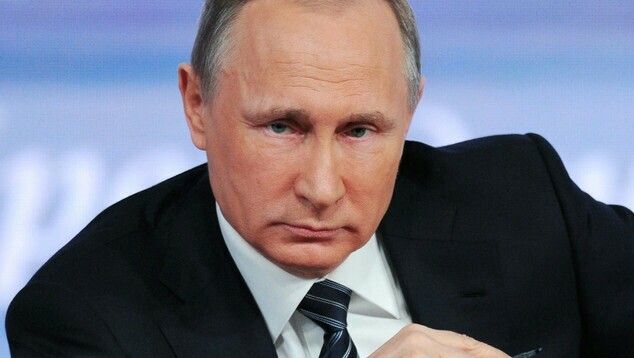 Putin will respond aggressively to any threat to Russia. While the title “Strongman of Russia” surely fits Putin, he is not a fanatic. He knows that after the dust settles regarding Crimea, peace and stability must be established. Recall that he said it was unnecessary to sacrifice US-Russian relations over an independent international issue. this The solution to the Ukrainian crisis will unlikely to be truly satisfactory to the US and the Europeans. Putin will not back away from Crimea and it will likely go the way of East Prussia for the Germans and North Cyprus for Greek Cypriots. Crimea will not return to Kiev’s control in the foreseeable future. What is most important at this juncture is a reset of the conversation between the US and Russia. Meetings between US Secretary of State John Kerry and Russian Foreign Minister Sergei Lavrov, who have regularly worked together of other urgent and important issues for both countries, have already begun. However, every effective back channel should also be opened, and leaders such as Merkel, should be sought out to serve as third-party envoys for Obama and Putin if communication breaks down. There is much to discuss about: the meaning of events in Ukraine for the US, its European partners, and Russia respectively; what comes next in Ukraine politically, economically, socially, and militarily; and, other urgent and important issues on which the US and Russia must cooperate. Hopefully, further talks between the US and Russian officials and diplomats on Ukraine’s future will be successful, and constructive talks between Obama and Putin will occur soon on a more frequent basis.